Though TV channel providers may not yet be able to insert addressable ads in their broadcast and cable channels, they can still boost experience by taking advantage of restart services. One Belgium broadcaster cut ad loads in their restart streams and saw viewing and ad values increase. Unfortunately, as the year winds down, the ability to target ads in live television through traditional distribution mechanisms seems no nearer. However, there is an opportunity to take advantage of restart services to target ads, reduce ad load, and improve the television experience. Many broadcasters and operators now provide their viewers with the opportunity to start watching a show from the beginning when they join it in progress. 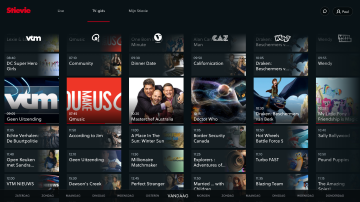 For example, the YouView platform in the UK supports this functionality. When a user starts watching an in-progress program, they are offered the opportunity to start watching the show from the beginning. If they accept the offer, they switch away from the broadcast channel to a digital stream. Once in the digital domain, the broadcaster can take advantage of a solution from Yospace to target the ads in the start-over stream. Yospace’s live linear ad insertion targeting has been proved at scale in sporting events such as Premier League and Champions League soccer and T20 cricket. However, Medialaan recognized there was an opportunity to go further. The company decided to reduce the ad breaks in a program that a viewer had restarted. What’s more, if viewers had already seen the ads in a break, Medialaan wanted to allow them to skip the ads altogether. With shorter and skippable ad breaks, the viewer could catch up to the original broadcast. Medialaan leveraged Yospace’s Non-Linear Startover functionality to implement the enhanced features in their start-over services. The combination of addressable ad insertion into live channel streams and reduced ad-loaded restart viewing seems to resonate with customers. 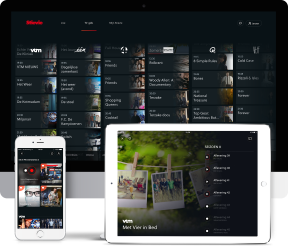 Since Medialaan launched the addressable ad services in 2017, the company has seen an increase in capacity for long-form views and greater ad revenues through high-priced addressable ads. The solution also won an innovation award at IBC 2018 in Amsterdam. The approach shows that, even if a broadcaster or operator is not yet able to insert targeted ads in their linear TV channels, they can take advantage of restart functionality to improve experience without reducing ad revenue. 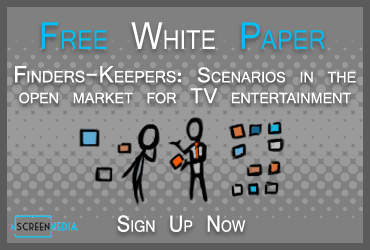 Broadcasters cannot target ads in linear channels through over-the-air and pay TV services. Targeted ads are worth more and would allow broadcasters to reduce ad loads to be more competitive with SVOD while maintaining ad revenue. Broadcasters can boost experience and ad values by targeting ads and reducing loads in restart streams.